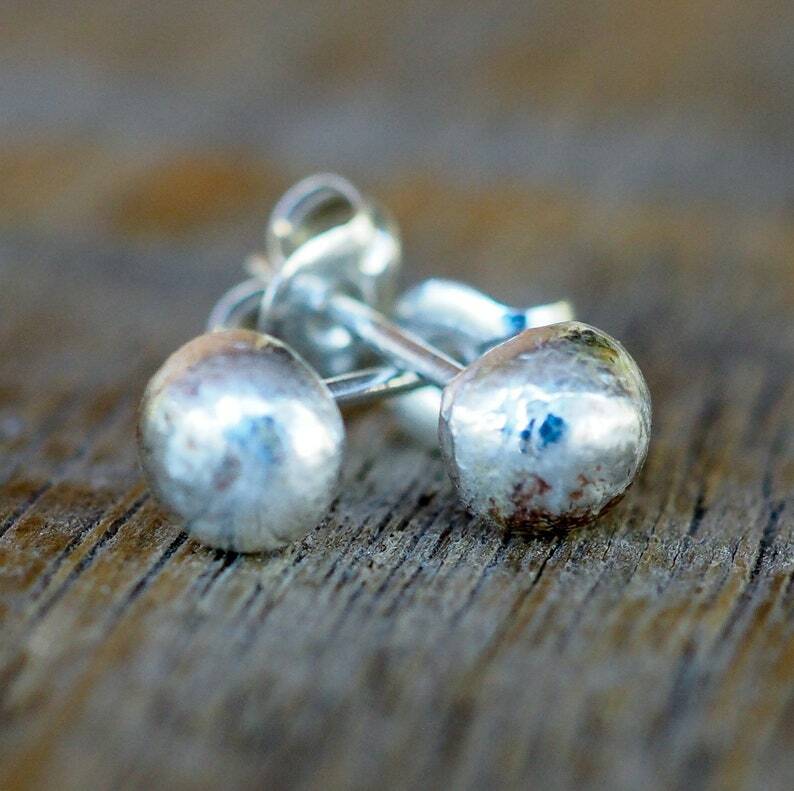 Tiny handmade stud earrings, made using recycled sterling silver. Actually, they are made with leftovers from other projects so, they are twice recycled! Melted down and formed into balls of sterling silver, they are each unique, with smooth spots, dimples and anomalies.